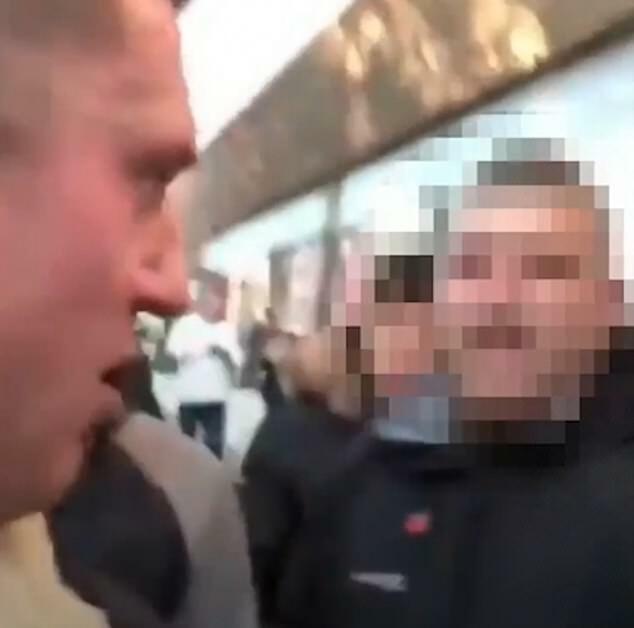 Tommy Robinson was confronted by an angry mob while livestreaming a video as he walked to a football match. The 35-year-old, real name Stephen Yaxley-Lennon, was involved in an altercation as headed to a Luton Town home game. Video that he live streamed to his Facebook page but later deleted shows him walking down the road accompanied by other men. At the start of the video he can be heard complaining about banners at the match protesting the Football Lads Alliance. The group claim to be opposed Islamic extremism but they have been compared to the English Defence League - which Robinson founded in 2009. Robinson then starts to argue with people off camera and appears to be confronted by two men. A brief scuffle breaks out and the broadcast is interrupted. When filming resumes the camera is no longer on Robinson, who can be heard shouting apparently shouting "where’s the f*****g bodyguard". The video then ends and it was later deleted from his page. Robinson later insisted what he said was "they're not my f*****g bodyguards". "My point is that I have never brought the EDL's politics to Luton Town Football Club," he said. "What I was saying to them was keep your politics out of the football. "I was in town with my friends eight of whom were black. Just because they're black people say they're bodyguards. I've never had bodyguards." A group called the Football Lads & Lasses against Fascism tweeted: “Stephen Yaxley-Lennon aka Tommy Robinson turned up at Luton Town today for a Luton firm get together. "He arrived with a team of bouncers. He was confronted and told he's not welcome by #LUTONFLAF." In August the CEO of Luton Town urged fans to stop chanting support for the far right activist. Robinson is a supporter of Luton Town and was convicted of using “threatening, abusive or insulting behaviour" during a 100-man fight between football supporters in the town. Robinson saw a contempt of court finding against him quashed in August. His case has been referred to the Attorney General.